Today at our kick off breakfast we announced our 2015 campaign goal. We’re shifting focus at United Way Leeds & Grenville, along with many of our peers across Ontario. 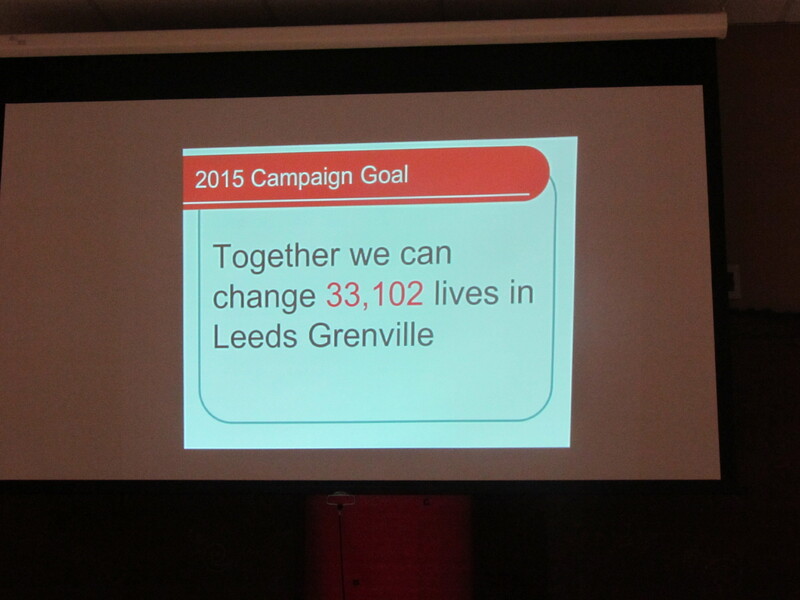 We have set a goal to change 33,102 lives in Leeds & Grenville. While dollars are necessary to achieve this goal, we have decided to focus on the people! So, please help us to raise the funds necessary to change the lives of 33,102 people in Leeds & Grenville.